Dogs simply live so much longer now than before and their needs have changed. Through improved knowledge, better education, better diets and advances in parasite control and medicine, our pets can live to be twenty! Dogs, like people, have two sets of teeth. Their temporary teeth (all 28 of them) start erupting between 4-6 weeks of age. Between 4-6 months of age, these are then replaced by the 42 permanent teeth. So don’t be alarmed when you see your pup loosing teeth at the age of 4-6 month, this is likely normal. Dogs have 4 types of teeth: Incisors (for nibbling), canines (for grabbing and tearing), pre-molars (for tearing and cutting) and molars (for grinding). Puppies don’t really need to grind their food and therefore don’t have any molars. The crown is the part visible to us above the gum line and is covered by white, glossy enamel. The roots are hidden below the gum line and imbedded in the jaw bone. The pulp cavity is where most of the nerves and blood vessels run. Our teeth look the same! And it’s really not as complicated or time consuming as it sounds! 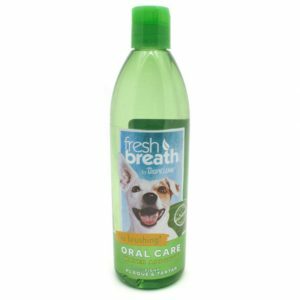 Use pet oral rinse – like mouth wash for dogs. Simply squirt a small amount into the cheek pocket, about an hour after dinner. Ask your Vet or Vetshop to help you find a pet approved product. Regularly offer dental treats. Raw hide chews work well. These are usually made of cow hide and come in a variety of shapes and sizes. Ensure you choose the correct size for your dog and always watch your dog’s when they eat these treats, as aggressive chewers can break off whole pieces, which could cause gastrointestinal upsets or blockages. 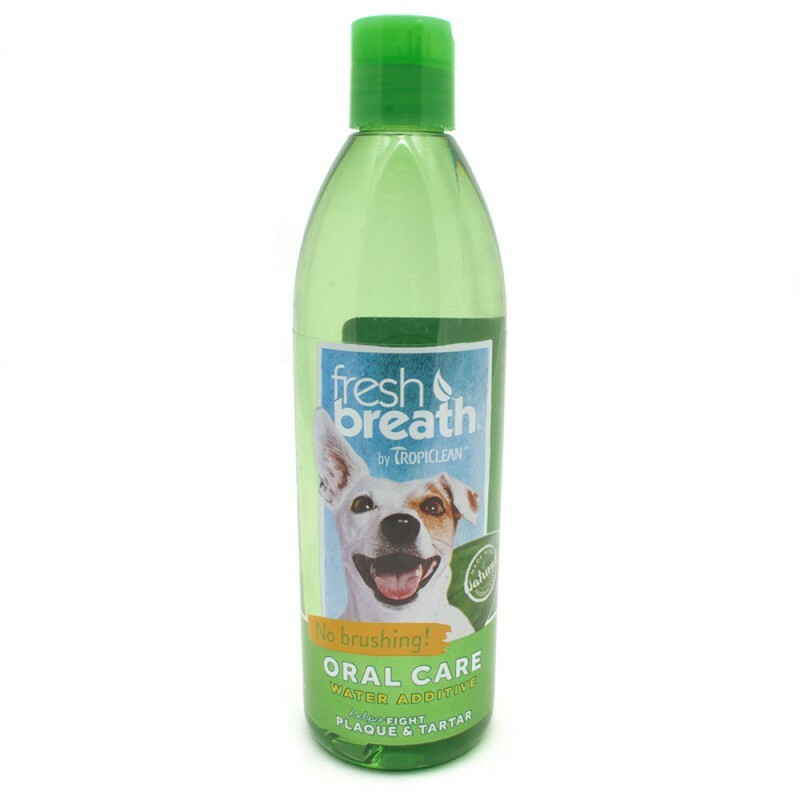 There are also variety of registered Dental treats available on the market that help to keep teeth clean. Carefully select the diets you feed your dogs. Many veterinary dog diet manufacturers are making their kibble bigger or firmer to help with mechanical cleaning of teeth. Others use special coatings to reduce tartar build up and bacteria. 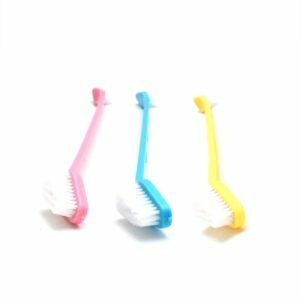 Chew toys made of tough rubber and nylon can also help to mechanically clean the teeth and they are fun! 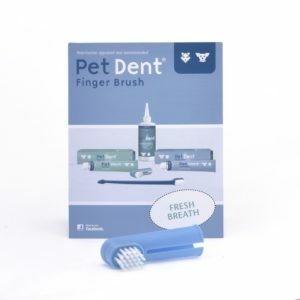 Book regular vet visits to have your dog’s teeth checked and cleaned. 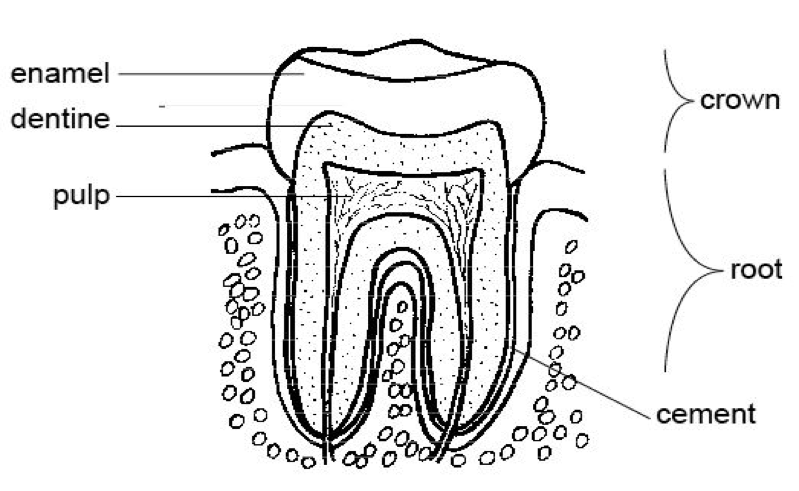 Cavities (or caries) are not common in dogs. 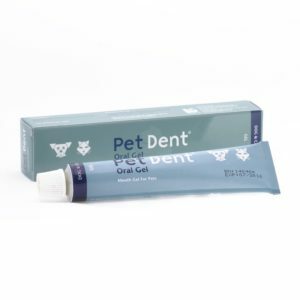 In dogs, the build-up plaque and tartar on the surface of the teeth, leads to periodontal disease with gum infections, loss of teeth and pain. 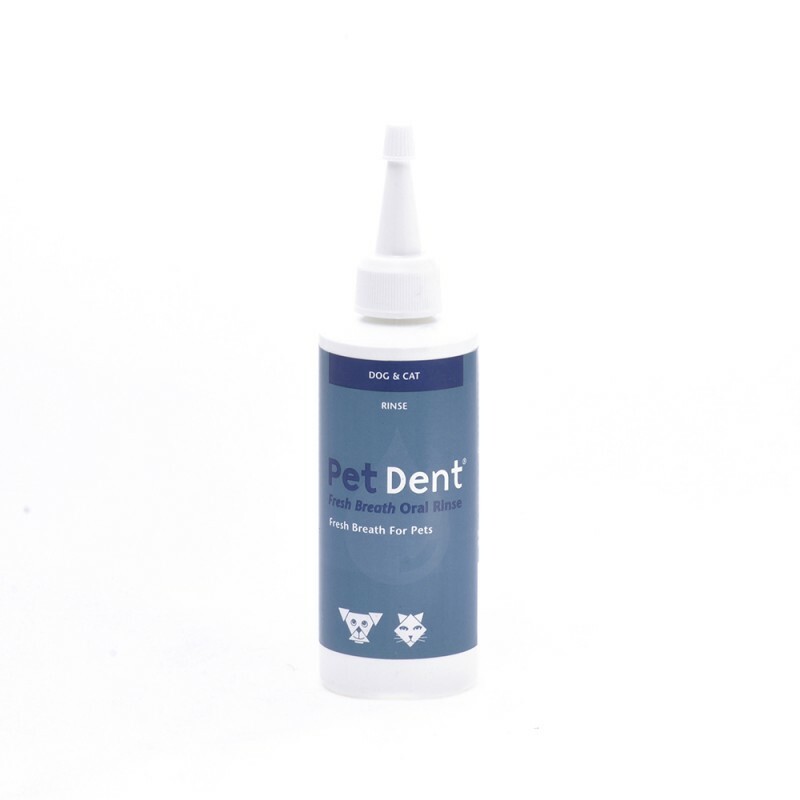 Small breed dogs seem more prone to the build-up of tartar and periodontal disease. This is likely because they are often fed softer foods that don’t assist in the mechanical cleaning of the teeth, but the ph (acidity) of their saliva is also speculated to play a role. Retained temporary teeth: When the temporary teeth don’t fall out as the permanent teeth come through, they can cause problems with the position and normal development of the permanent tooth. These retained temporary teeth will often be removed as a precaution when your dog is anaesthetised for sterilisation. 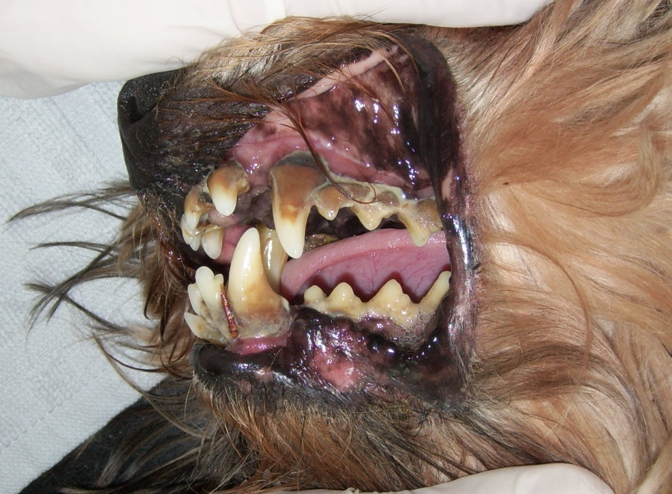 If you notice that your dog has retained temporary teeth, discuss this with your vet. Broken and fractured teeth: Perhaps because of their ancestry, where any sign of pain was seen as weakness, we often don’t realise that our dogs are in pain. A broken tooth can be very painful! Chewing on wood and rocks, as well as trauma to the mouth, can break teeth. Dogs may be reluctant to eat, but broken teeth are often a coincidental finding when the mouth is fully examined. You would pick this up when you do your daily brushing! These teeth generally need to be removed under general anaesthetic and you need to contact your vet to make an appointment. Tooth root abscesses: These often present as a swelling below the eye, when the root of the carnassial tooth (the 4th Premolar in the top jaw) becomes infected. These teeth need to be removed under anaesthetic and your dog will be put onto antibiotics and anti-inflammatories for approximately a week after the extraction. 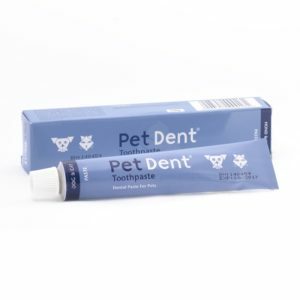 In Conclusion, as we can see, regular brushing and oral hygiene helps prevent periodontal disease in our dogs and also makes sure we check all the teeth daily and pick up any other problems early. 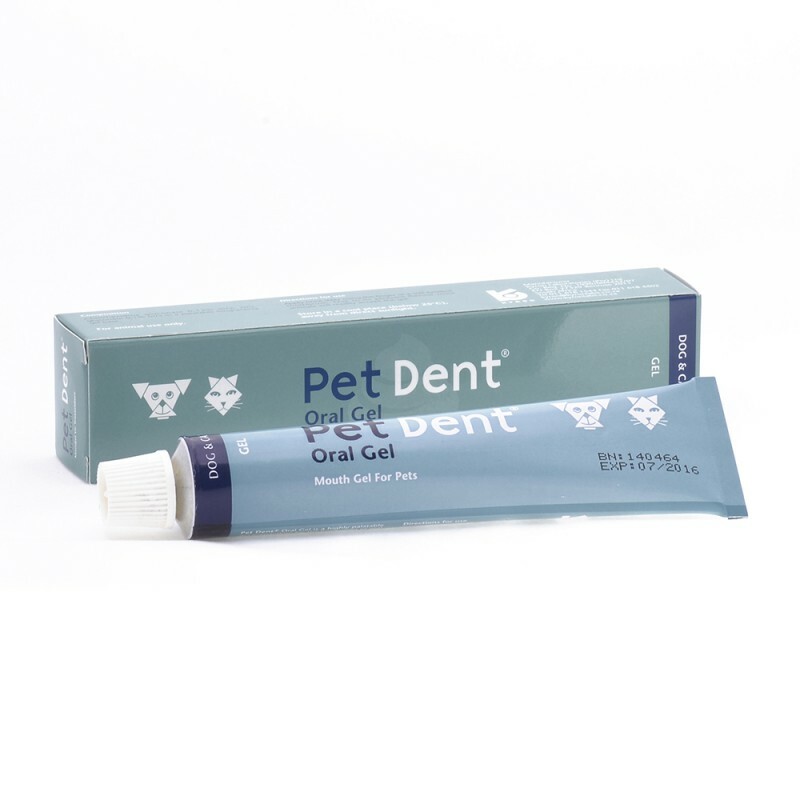 Let’s help our loyal friends keep their teeth healthy, well into their golden years. Does the same apply to cats? Hey Joan, generally cats have fewer issues with their teeth, but flat-faced cats as well cats on softer food diets can have much of the same issues with their teeth as dogs, and it can be more difficult to treat as one cannot really brush a cats teeth, or try to give them rinses. You would then have to get regular check-ups at the Vet as well as use their diet to try maintain dental health.